A second-rate Western, Death Of A Gunfighter strives for earnest intensity but lacks the talent, skill or depth to deliver. The setting is the town of Cottonwood Springs, Texas, in the early 1900s. Progress is coming, the railroad has arrived in town, horseless carriages are starting to appear on the road, and the city elders want to attract more business. Standing in the way is Marshal Frank Patch (Richard Widmark), who has had the job for 20 years and knows all the town's dirty secrets and scandals. Patch still settles disputes the old way, and proceeds to shoot dead a drunk and depressed man, albeit in self defence. City council members and business leaders, including Mayor Chester Sayre (Larry Gates) and the smarmy Lester Locke (Carroll O'Connor), try to convince Patch to quit on his own terms, but he is too stubborn and too proud to listen. County Sheriff Lou Trinidad (John Saxon) arrives in town to try and arrest Patch, but is rebuffed and bloodied by the Marshal. The town elders have to decide whether or not to resort to more violent methods to end the reign of their long-term protector. The first film credited to non-existent director Alan Smithee, Death Of A Gunfighter started under Robert Totten and finished under Don Siegel, after Totten had a falling out with star Richard Widmark. Totten was mostly a television director, and Death Of A Gunfighter has the plastic, staged look and feel of a slightly glorified TV movie. The premise of the passing of the old west is simple and stale, the execution ponderous, and with the ending given away in the title, precious little drama is generated. Once the conflict is established between Marshal Patch and the townsfolk, the script stalls. 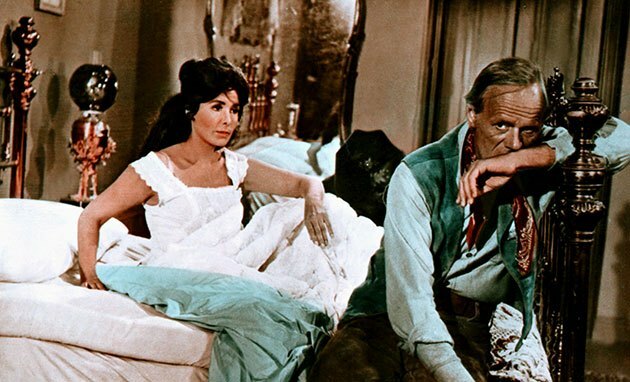 There are rudimentary attempts to create a dynamic between Patch and a young man who hero worships the Marshal, and a lukewarm long-term romantic relationship with local woman Claire Quintana (Lena Horne, in a rare dramatic role) stutters in the background. Another father-son pairing enters and exits the fray with only the outlines of a relationship sketched in. None of the subtexts move past the perfunctory. 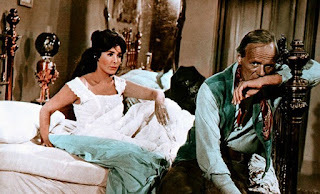 Meanwhile, Richard Widmark tries too hard to carry the weight of the film, grimacing fiercely at the injustice of it all and allowing Patch's increasingly irrational stubbornness to dominate. John Saxon wanders in from a whole other movie only to get beaten up by Patch in short order, but Saxon does enough with the character to suggest that the film would have only been better with a bigger role for Lou Trinidad. Other than Carroll O'Connor ensuring that baddie Lester Locke drips mean connivance, the other conspirators against Patch remain poorly defined. Death Of A Gunfighter is a lightweight exercise in bundling old genre themes into an unfortunately bland rehash. All Ace Black Blog Movie Reviews are here. Readers are welcome to comment on Ace Black Blog posts. Any comments that insult the intelligence will be deleted. Click here for the full list!